What can you expect from working with Village Builders? Whether for a new build, renovation, addition or interior design, every project starts with a conversation about your plans. If you have approached Village Builders, you have already taken the lead to an exciting customized project. We look forward to a long-term relationship as your builder! Read about the general process your project will follow. When you have approached us to discuss your project, we will arrange a time for an in-depth meeting. Bring us your plans, or, if you are just starting to think about your build, we can recommend a talented local architect or designer for your project. We will discuss whether you’d benefit from engaging the services of our interior designer for your project. We will establish a scope of work. Our estimator will work with your architectural and design plans to create an accurate budget for your project. Our production team will establish a schedule and time frame. We will prepare a detailed proposal that contains our written warranty. We will meet with you to present the proposal, or conduct our presentation via email if a timely meeting is not possible. If you are intrigued and satisfied with our proposal, we will initiate a kick-off meeting to bring our staff together for a project overview. With you, we will discuss the pros and cons to determine whether you prefer your project to be priced on a management contract (final material cost + labour cost + 15% management fee) or a fixed contract (flat rate plus variances). When the project is underway, we will keep in consistent communication with you as you are key to the process. We will assist with permit allocations, necessary conservation approvals, or other such requirements before starting the build. 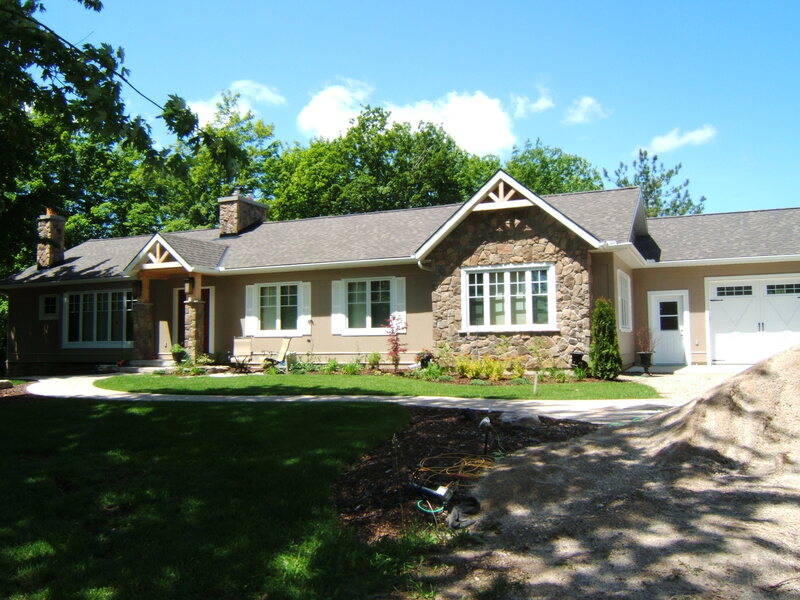 We will enroll your house and discuss with you the Tarion Ontario Homebuilder New Home Warranty. Our team will meet daily to discuss and manage your project. We will provide a password for you to access our website and view photos of the progress of your build. You will receive bi-monthly financial reports and budget updates. As the project comes to completion, we will ensure you understand what to expect and we will clarify any questions regarding our warranty. You will see an incremental shift from us to you for the care and maintenance of your house. We will remain available at any time to answer your questions or discuss concerns, and we will immediately address any issues that come up. Bring us your plans, or we can arrange to have a talented architect or designer work on plans for you. We will visit your site to discuss your plans and what you would like to achieve. We will take numerous photos and measurements. If applicable, we will incorporate the services of our interior designer for your project. Our estimator will work with your architectural or design plans to create an accurate budget for your project.